NEW ORLEANS (CNS) — The funnel cloud was taking dead aim at Dale and Susan St. Pierre’s home in LaPlace — located less than a block from Ascension of Our Lord Church — and it was time for their family to duck and cover. Instinctively, Dale told his wife, daughter and mother to get to the home’s center hallway and lie down while he straddled them with his prostrate body. The terror of a tornado packed with 140-mph winds was over in less than a minute, and when the St. Pierres had a chance to see what had happened, they discovered their roof had been torn from its moorings. A record 13 tornadoes touched down in south Louisiana Feb. 23, and the St. Pierres were among the fortunate. Just up the Mississippi River in Convent, Louisiana, a tornado blew through a trailer park, killing two people. The deadly storm system that spawned tornadoes along the Gulf Coast also caused damage along the East Coast. At least seven people were killed. In LaPlace, about 200 homes either were destroyed or heavily damaged but there were no fatalities. For some residents, it was a repeat brush with the forces of nature, having seen their homes flooded in 2012 by Hurricane Isaac. “The same neighborhood that we were in after Isaac got exactly hit again,” said Tom Costanza, division director of Catholic Charities Archdiocese of New Orleans, who also headed the agency’s disaster response after Hurricane Katrina in 2005. The path of destruction seemed to bear that out. The St. Pierre’s home is less than a block from Ascension Church, where the St. Pierres have served as extraordinary ministers of holy Communion and Susan St. Pierre has been a CCD teacher for 20 years. The debris trail indicates the tornado touched down in the residential area near the church and then picked up again on the other side of the church. The church itself had minor roof damage, said Father Walter Austin, Ascension’s pastor. The archbishop visited Place Dubourg, an archdiocesan residents for 115 seniors, which sustained damage to its exterior and roof from flying debris but was otherwise unharmed. A diesel-fueled generator installed on the property after Hurricane Isaac helped preserve electrical power to the first-floor community area, allowing 60 of the residents who stayed during the storm to have some degree of comfort. A tractor-trailer from a Lowe’s store in Biloxi, Mississippi, arrived a day after the storm to distribute flashlights to the residents. A group of students from Riverside Academy went inside to help residents whose windows were blown in clean up their apartments. 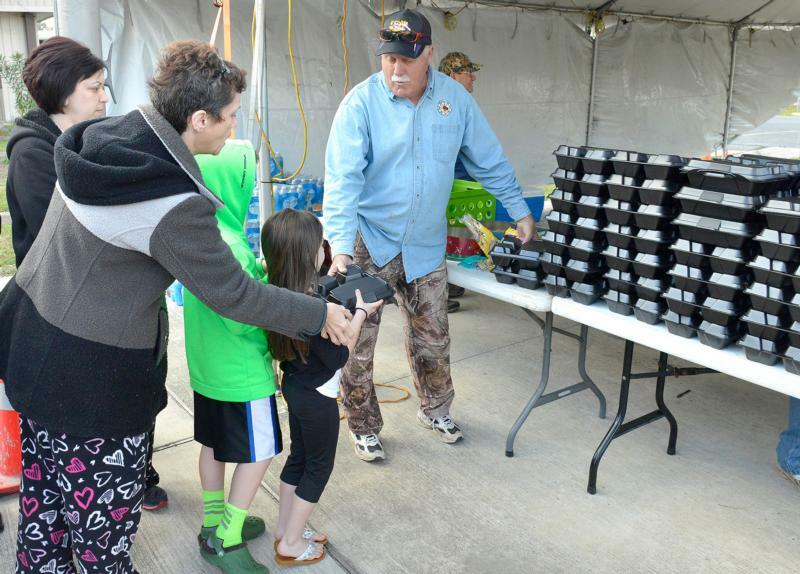 Parishioners of three local Catholic churches — Ascension of Our Lord and St. Joan of Arc in LaPlace and Our Lady of Grace in Reserve — took rotations cooking meals for affected residents. Second Harvest Food Bank of Greater New Orleans and Acadiana, an affiliated ministry of the Archdiocese of New Orleans, distributed truckloads of disaster relief boxes, nonperishable food and cleaning supplies. 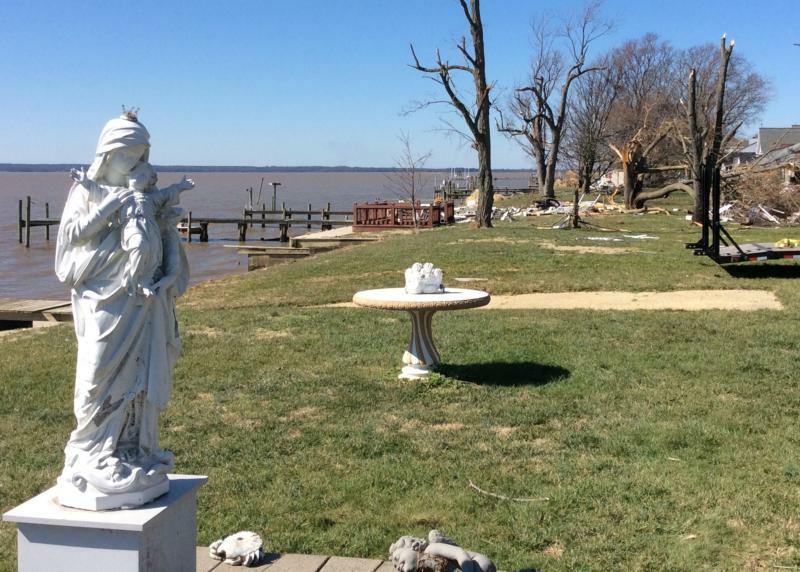 After tornadoes roared through Virginia Feb. 24, two families of St. Timothy Parish in Tappahannock were among those who either lost their houses or suffered severe damage to their property. Eddie and Margaret Bucker, who had lived in a house they built along the Rappahannock River in 2000, said their house and most of its contents, some of which was found scattered in the fields. But the response from Catholic parishes offering their help to people who experienced losses has been “overwhelming,” said Joanie Copen, business manager at St. Timothy. 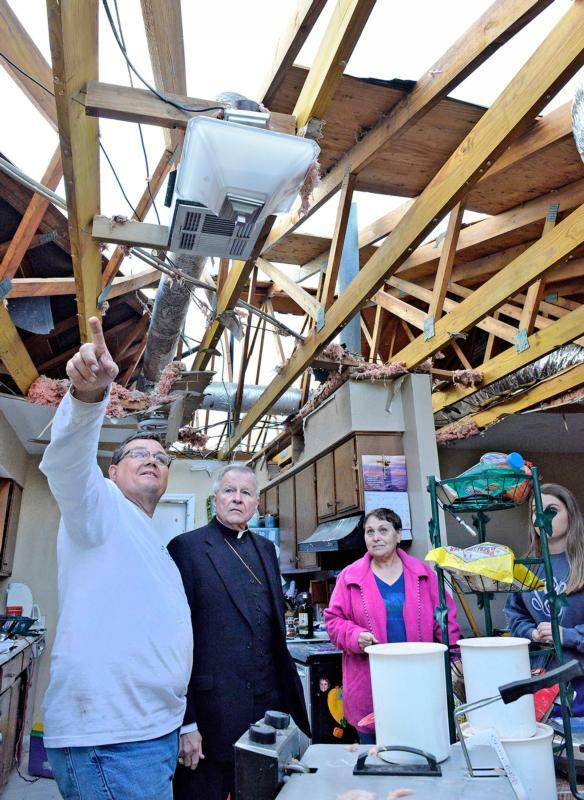 St. Joseph’s Catholic Church in St. Mary’s County, Maryland, in the Washington Archdiocese, and Our Lady of Lourdes in Richmond were among the parishes that responded to help those who suffered loss in a tornado that struck in the late afternoon and lasted less than a minute. 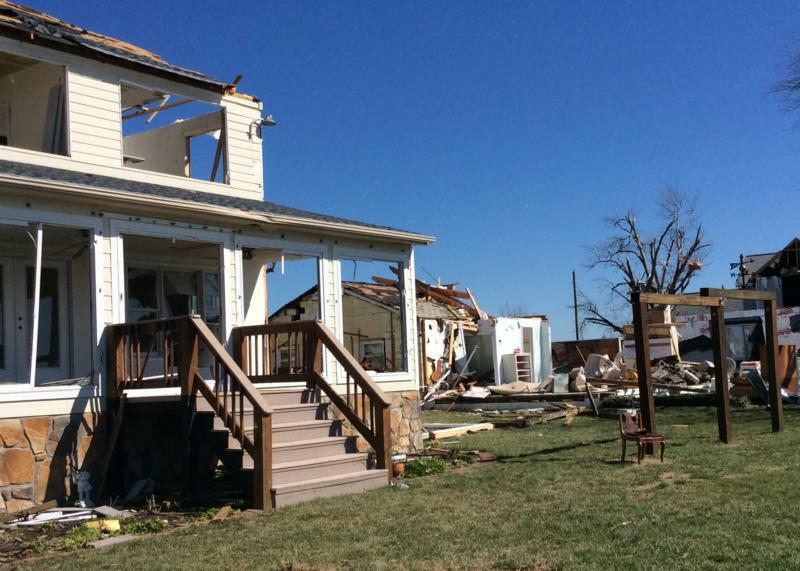 Eight of the 26 houses in the Naylor’s Beach community were destroyed or badly damaged in the tornado. The neighborhood is along the Rapphannock River on the other side of a bridge which links it with Tapphannock. “We’re sad as heck because we lost everything,” Eddie Bucker told The Catholic Virginian, newspaper of the Richmond Diocese. Although their house was total loss, he and his wife were safe because they quickly moved to the house’s basement with seconds to spare when the tornado reached their house. The couple lost family photos which included weddings and family reunions, an antique table which had been in the family for generations and most furniture. The furniture in the master bedroom on the first floor remained intact as did a statue of Mary on the home’s lawn. Finney is executive editor/general manager of the Clarion Herald, newspaper of the Archdiocese of New Orleans. Contributing to this story was Steve Neill, editor of The Catholic Virginian, newspaper of the Diocese of Richmond.